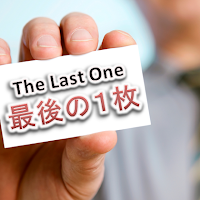 For the Japanese Salesperson, business card is a "mass consumable". Several hundreds of them would be gone while presenting at an exhibition. They have to care how much remaining they have on a regular basis, and must order 'additional' as appropriate. 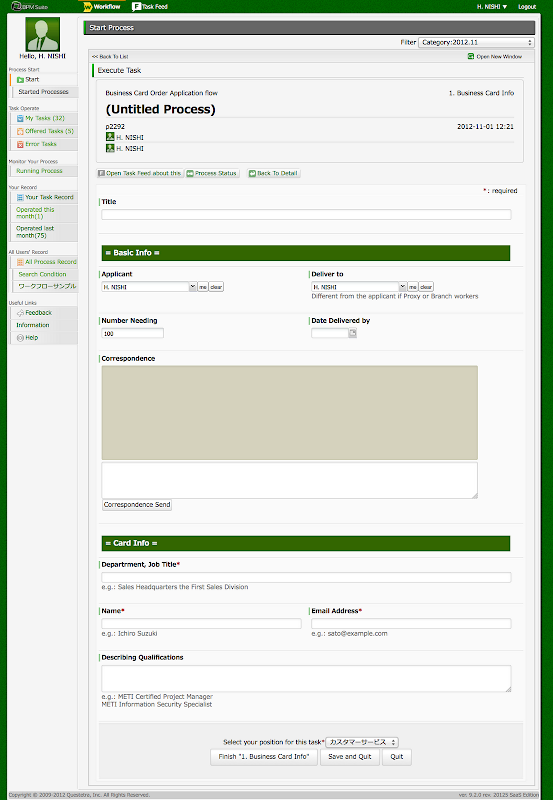 The business card order request is a very simple workflow. 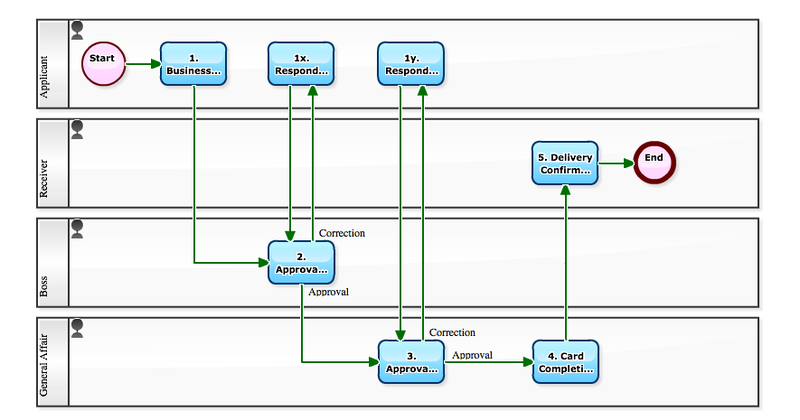 In fact, even without application flow (system), "request by email" would be enough to make business ahead. However, if you put the business card order application into the workflow in practice, it will be interesting to be visualized in various ways. It lends itself well to the subject matter of the practicing of business process designing. Come and please try. In this workflow definition, there is some sort of taste in the "processing of remand". 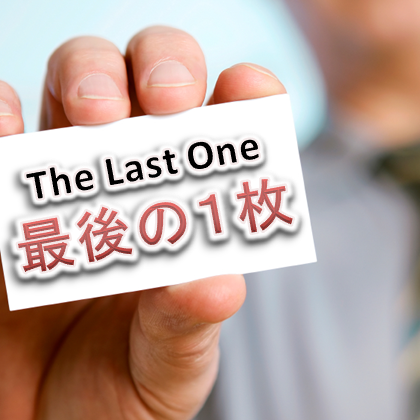 That is, if the "boss" does not approve, even good to be back to step "1. Business Card Info". But here we set the step "1x. Responding Boss's pointing out" and branches to it. This is a strategic arrangement when 'Affairs' does not approve at the next process, then to "remand" to the step "1y. Responding Affairs's pointing out" without going through 'the Boss'. It makes the chart looking simple and clear. Also you will find another taste in 'Receiving Confirmation'. That is, it assumes the case 'the person who receives the cards' is different from 'the person who made the application'. Indeed, new employees or temporary staff may not be able to make an application for their business card by themselves. Actually, there may be some cases that you ask your secretary or administrative staff to "make application instead of you" when you are too busy. By the way, 'number of card issued' is 'worthless data' in some sense. But it is significant to make this 'worthless data' accessible to anyone. That means, this attitude of exposing all internal information within the company, grows a corporate culture which never allows concealment or fraud to occur.